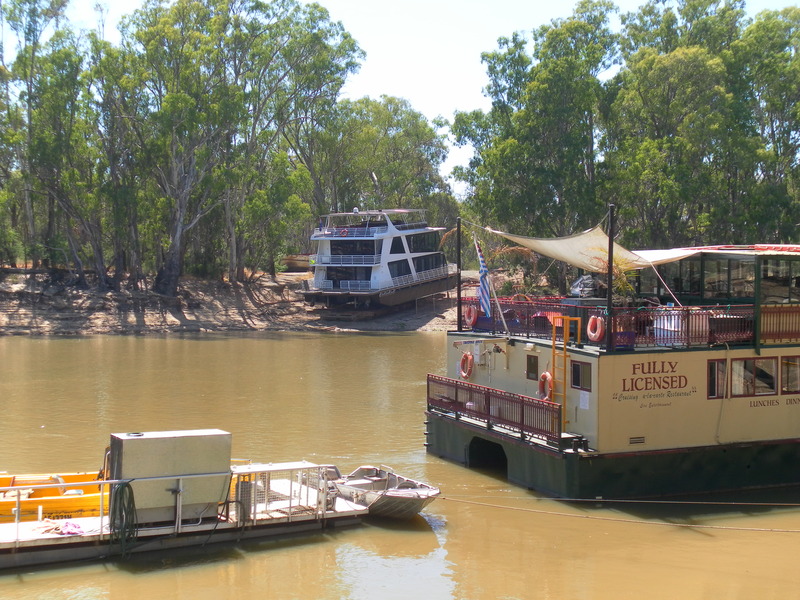 Echuca has featured several times on this blog after visiting with Rod, and with Elijah & Eilihd, and yesterday I returned to visit the Campaspe Murray Writers Group. Another wonderful group of writers who made me very welcome. A perfect mix of fun and friendship, inspiration and encouragement, a diverse range of interpretations on the ‘homework’ . . . a great night! Perhaps it’s our eyes . 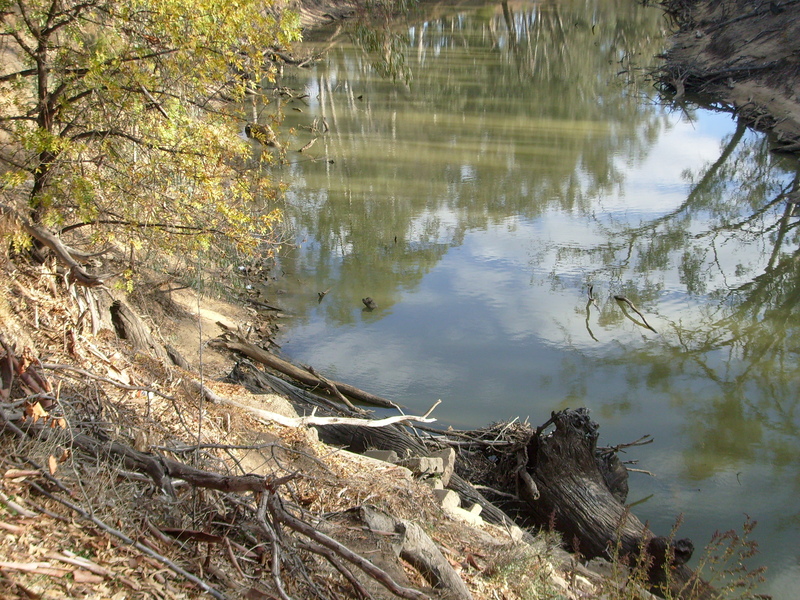 . . but we thought there was a large black dog swimming in the Murray River at Echuca on a visit a couple of years ago. Until we had a closer look! 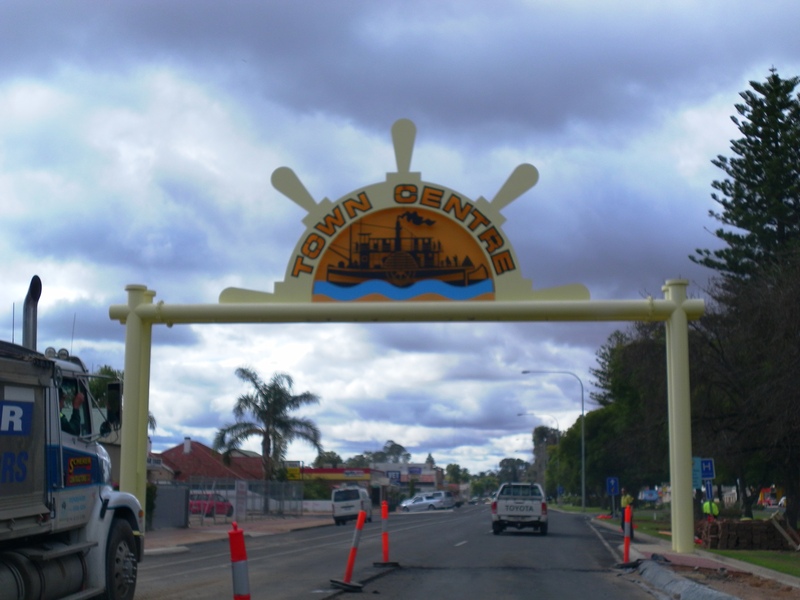 We passed through beautiful Renmark on our way home from Gawler on Monday and stopped to stretch our legs and give April and Jasper a walk. I love the sign for the town centre and the riverside park in the afternoon sun was perfect to re-charge our batteries 🙂 We’ll be back . . .